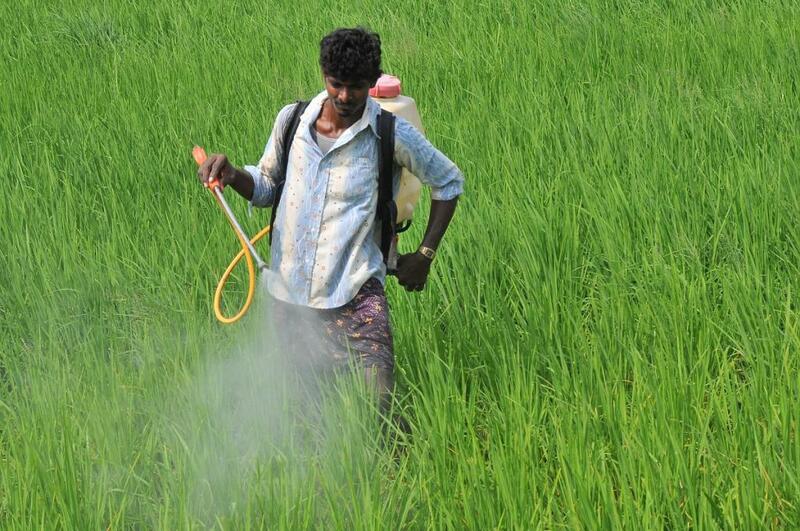 The National Human Rights Commission (NHRC) has taken suo motu cognizance of media reports on how several farmers in Maharashtra’s Yavatmal district had to be hospitalised during the last three months due to an infection caused by spraying of a pesticide on the cotton crops. Many have reportedly died and condition of several other farmers is serious. The total number of deaths vary between nine and 18 in the last one month, according to different sources. Besides, there were 800 instances of poisoning, out of which 25 losing vision after spraying Profex Super Pesticides on Bt Cotton crops in the Yavatmal district. Profex Super insecticide by Nagarjuna Agrichem contains Profenofos and Cypermethrin. Its toxicity profile is between moderate to severe. The State Agriculture Minister has said that the farmers have not been following the directions for safe use such as wearing gloves and protective clothing. The government has decided to distribute masks to them for free. The state government has also announced compensation of Rs 200,000for the families of the victims. In its press release, the NHRC declared that it has issued notices to the Chief Secretary, Government of Maharashtra and the Secretary, Union Ministry of Agriculture and Farmers' Welfare, calling for a detailed report regarding the matter within four weeks. The Chief Secretary of the Maharashtra has also been directed to ensure that the best treatment is provided free of cost to the farmers, who are either admitted to the hospital(s) or taking treatment as an out-patient. He has been asked to inform about the steps taken to stop recurrence of such incidents and the action taken against the guilty officers. The Commission also expects the details of ex-gratia relief paid to the victims and rehabilitation of the aggrieved families along with the policy perspective on the issue. The NHRC has observed that most of the farmers in the country are not adequately literate and depend on the government agencies for safe use of the agricultural products and related techniques. It also observed that the farmers' Rights to Life and Livelihood have been grossly violated due to the lack of proper awareness about such a complicated technology.